Are you mesmerized by the stars, planets and comets? Then you may be looking into buying yourself a telescope. Choosing a telescope is not an easy choice. It’s very much like trying to find the right phone that suits your needs and expectations. There are tons of different types out there, all with different features and prices may vary… a lot! Unfortunately, telescopes don’t fall under the one size fits all policy and hence, it all very much depends on your budget, interests, and how you want your scope experience to be. We’ve selected a top 10 for Telescopes to help you select yours. 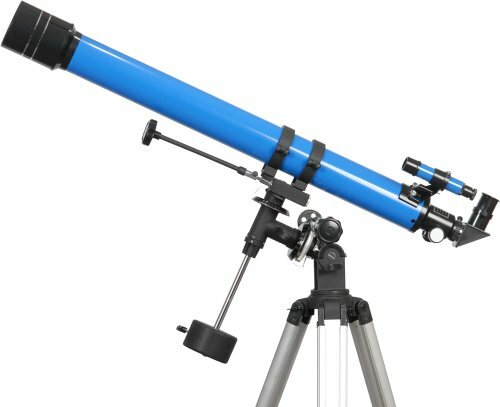 If you’re just starting out, this telescope will definitely be a good buy. The Gskyer Telescope, 60mm AZ Refractor Telescope, German Technology Travel Scope has an aperture of 60cm and 350mm focal length. All optical pieces of this scope are made of glass and ensure greater and clearer image quality. Not to mention that it contains a 3X barlow lens to at least double the amplifying power of each eyepiece. No trouble to track objects during any time of day. The Gskyer includes a tripod for precision tracking and is a breeze to set up. Weighing only 4 pounds, this telescope is easy to bring along to look at the stars from different places. If you’re looking for a quick and easy telescope fix, this one will be perfect for a great beginner stargazing experience. With built-in erect image optics, this Celestron telescope is perfect for terrestrial and astronomical use. Another great feature is its optical lens diameter of 2.6” and it comes with a clutch control for precise aiming and pointing. Don’t worry about any hassle setting up this refractor telescope: no tools are needed and you’ll have it up and running in no-time. Note, however, that for the more experienced astronomy fanatic, this telescope may not live up to your expectations. This extensive Orion 09798 StarBlast 4.5 Equatorial Reflector Telescope will entertain you and your family for hours on end. 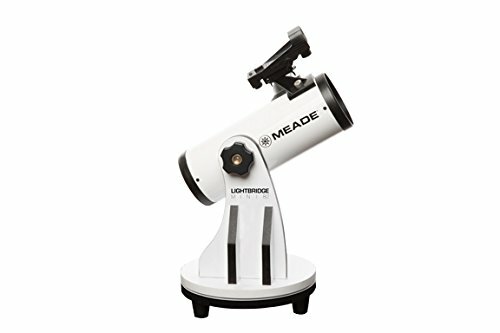 Since it’s easy to set up and use, it’s perfect for new stargazers. Due to its large aperture and wide-field reflector, you will be able to observe different planets and the Moon without anything holding you back. 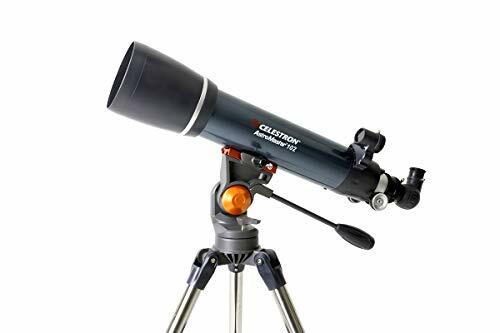 If you’re looking to find celestial objects, you’ll be happy to know that this telescope generates a view with a wide angle, due to a short focal length and very fast optics. The only slight downside of the Orion is its slightly complicated assembly, but there is nothing an instruction guide and a quick Google search can’t solve. If you’re looking for a quick and easy telescope fix to start out, then this Vivitar telescope won’t leave a hole in your wallet. For a small price you can find out whether or not stargazing is your new hobby. 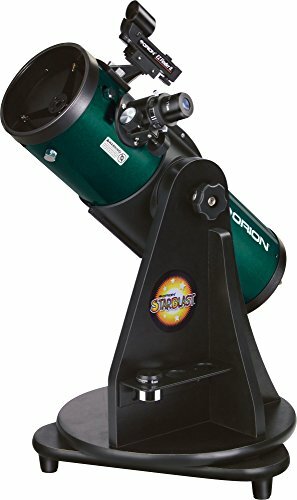 For a telescope on the cheaper end, you still get a great amount of value. 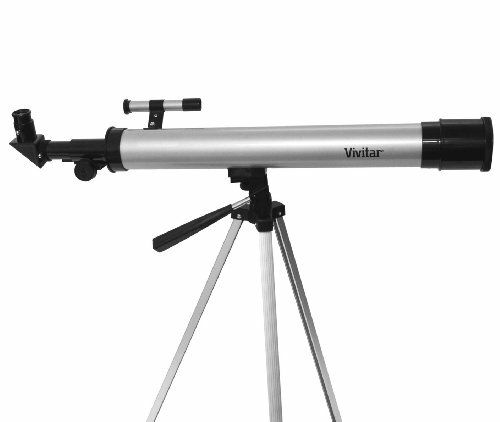 The Vivitar TEL50600 60X/120X Telescope Refractor comes with a tripod, has a Mirrored Diagonal Eyepiece For Easy Viewing, and a 3x Finer scope so you can more easily track objects. No tripod needed for this smart-looking telescope! This one comes on a Dobsonian base for easy use, although it could use an extra handle and move slightly smoother. It’s definitely easy to move it around so you can even bring it on your yearly camping trip! If you’d like to see the moon and planets in detail, then this Orion’s 8” diameter reflector optics will allow you to do just that. It also comes with a decent eyepiece, but could potentially use one of better quality if you’re a more experiences telescope user. 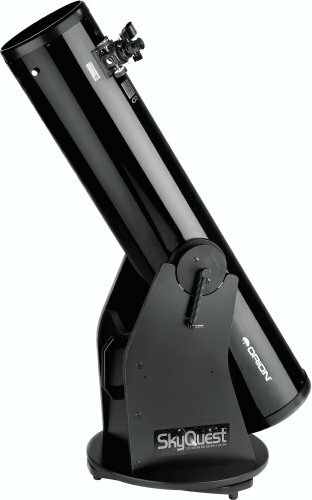 If you’re looking for a good price-quality ratio on a telescope, the Orion 8945 SkyQuest XT8 Classic Dobsonian Telescope is definitely the one to add to your wish list. Slightly less expensive, but still offering premium quality is the Orion’s 8945’s little brother. Orion 10015 StarBlast 4.5 Astro Reflector Telescope is designed for less-experienced to moderately experienced users and has been assembled for you, so all you need to do is unwrap and start gazing! The moon and planets can be viewed in detail due to a properly sized aperture and fast f/4 focal ratio enhancing a bright and detailed view. This telescope is known to be better than a refractor and perfect for watching the clear skies for the amateur astronomer! This is the perfect grab ‘n go telescope! This mini scope with a table top base is lightweight and can thus be used from anywhere you’d like! It does have a slightly smaller aperture than others, but will still give you a great view for a significantly lower price. Its two different eyepieces allow for various magnifications. However, some may argue that these are not good enough, in which case you can always upgrade whenever you like. Nice little inexpensive telescope for those passionate about space! 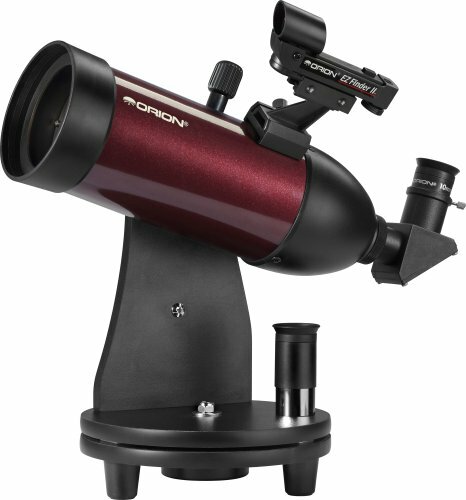 Even though color is of relatively less importance when it comes to telescopes, this burgundy colored Orion 10013 GoScope 80mm TableTop Refractor Telescope does deserves some extra points here. This tabletop, lightweight 80mm aperture telescope allows for more than 70% more light than a refractor telescope of 60mm! Being a tabletop, this Orion equally allows for the use of a tripod for those who wish. 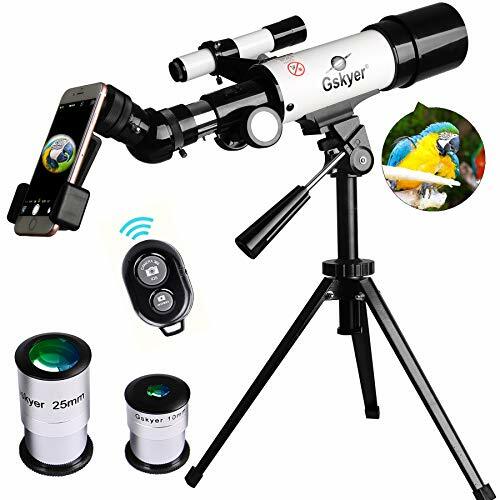 It rotates easily on a pedestal and is easily adjusted up and down to get the perfect angle for viewing the Andromeda Galaxy, the Moon, Saturn, and so on. Intrigued yet? An upgrade of the 70AZ Refractor, this 102AZ Refractor allows for sharper images of the Moon and the planets. The Celestron 22065 Astro Master 102AZ Refractor Telescope comes with a tripod and luxurious accessory tray. 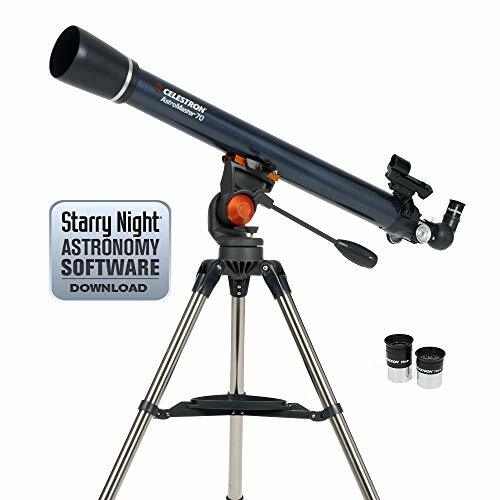 A big negative is, however, that the Celestron scope cannot hold on to objects, and as already noted before: this Celestron telescope series is great for looking at the moon as a beginner, but will be a disappointment for the die-hard astronomy geek. On the cheaper end, there is the iOptron. To generate crisp images, this telescope has fully coated glass optics. With a 70mm aperture and 900 focal length, viewing the Moon and planets will be a piece of cake. This telescope takes about 10 minutes to set up and then it’s ready to use. Remember though, you get what you pay for, but that doesn’t make this a bad telescope to start your adventures with. This one also make a great present for kids! So, which telescope will you choose? Choosing a telescope can be a time-consuming (but fun!) activity. Depending on your level of experience and budget, one telescope may suit your needs better than another. Hopefully this quick outline will help you make the right decision and you will be spacing out in the near future!